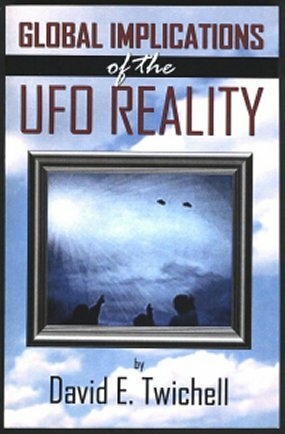 When I first read Whitley Streiber's book Communion, it really frightened me. I am not intending to do that with this interview, but some might find it a little unsettling, so proceed with caution. I welcome back David Twichell out of Detroit Michigan. The interview was supposed to be about the UFO conference which took place a few weeks ago in Laughlin Nevada. However... let's just say the interview turned in another direction when David revealed repressed memories involving his sister. Under hypnosis (which many have used) David's sister was able to remember quite vividly what happened during what many call missing time. How many have had experiences like this? There are many. Are some not being geniune? Definitely. Are all? No. If this does happen, is it something to be afraid of? I don't think so. David makes the comment that there are manevolent and benevolent species out there. This group, from what many believe, is not out to harm us. They could easily do so if they wanted. Many who have been abducted have later seen the event as a blessing. Jim also share some of his own ghost experiences and some of his Celtic beliefs. To be honest I really don't know anything about the Celtic way, other than what I remember from history and the history channel. It is interesting to get a perspective from someone who lives it as opposed to what you see or have read. Sometimes I wonder if some of these ancient understandings are deliberately distorted. Another interesting point: There is a history I am not familar with involving Sault Ste. Marie Michigan and the Soo Locks. Many lives were lost during the building of the locks. Could this explain the many restless spirits? I feel this is an informative show, we cover 3 main topics. Debby Bergeon discusses using the proper language for making changes! Is it possible to change the world around us with our thoughts and feelings? If so, then wouldn't it make sense to know how to ask and what to ask for? Part two is about someone I have never given a whole lot of thought to. My grandfather on my mothers side. He died the year I was born, I never knew him. Debby says he is around me a lot. Hmm... Debby gives me his initials, and some other details about him. Was she right? Yes! Strange? Yes, but also very interesting to possibly think that someone I never met is looking out for me. I have had at least 3 incidents in my life where I should have been involved in a somewhat serious accident, I feel something was watching out for me. Finally we discuss some of the Archangels, Micheal, Rapheal, Jophiel, etc. Debby explains how to talk to them and what each Angel's specialty is. Some can help in healing, some can help you find lost items. Some can give you protection. I find it interesting. See the link on my site to connect to Debby Bergeon's site. Author Hester Rumberg joins me this week. Her book is a true life story about her good friend Judith Sleavin. When you hear the story I believe you will be amazed and inspired. Certainly there are moments of great sadness which we all see in our lifetime, but there are moments of great joy as well. I am really drawn to this story because of Judith's incredible will, something that exists in all of us but is so rarely seen. There are many lessons in this book that I can learn from. The importance of family, the greater love that goes beyond the flesh, loving others, living for the moment, and letting go. Part of this interview is about paranormal/unknown events. Hester recalls an incident where Judith was saved and there seems to be some kind of angel or spirit assistance. Hester also recalls all of the invisible help she got when trying to put this book together. It was almost as if someone or something was guiding her in the right direction. Has that ever happened to you? Think about it a while. You may have met a loved one, or found a job, or something very simple like a set of lost keys.